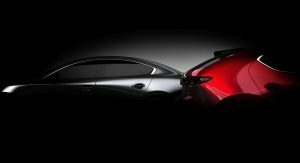 Following a leak earlier today, Mazda has taken the wraps off the all-new Mazda3. 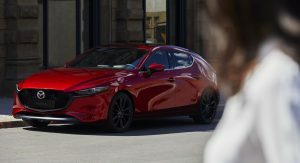 Described as the “dawn of a new era,” the redesigned model is an important vehicle for Mazda as it is their first car to use the Skyactiv-Vehicle Architecture and the new Skyactiv-X petrol engine. 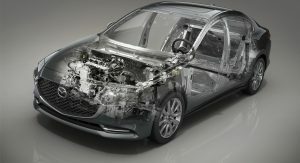 The latter features a Spark-Controlled Compression Ignition (SCCI) system which promises to combine the best attributes of both petrol and diesel engines. 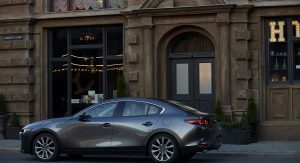 Putting those items aside for a moment, the Mazda3 has a new interpretation of the company’s Kodo design language. 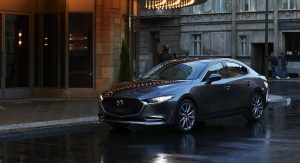 The automaker says it has an extremely simple “single motion” to its overall form while also being elegant and expressive. Both the sedan and hatchback feature an evolutionary design, but the sedan is the real star of the show as it adopts a number of styling cues from the Vision Coupe concept. 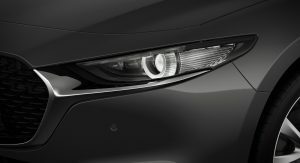 Starting up front, we can see a prominent grille with chromed wings which flow into slender headlights. 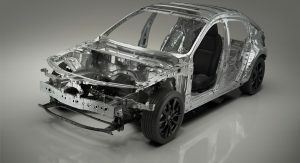 Moving further back, there’s flowing bodywork and a dynamic greenhouse. 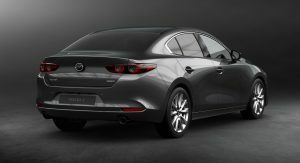 The rear is also pretty sporty as it features an integrated trunk spoiler, slim taillights and a dual exhaust system. 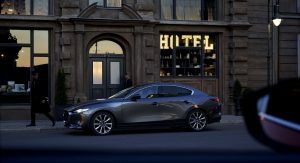 While the exterior styling is evolutionary, the interior changes are more significant as cabin is more upscale than its predecessor. Mazda was tight-lipped on specifics, but the company adopted a “less is more” approach which resulted a minimalist design. 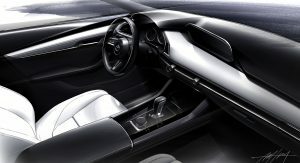 Another unique feature is the gearbox surround which “incorporates a laser-engraved black layer covered by a second clear layer to present a glossy black finish with a look of deep transparency.” In essence, it’s a classy version of gloss black trim. 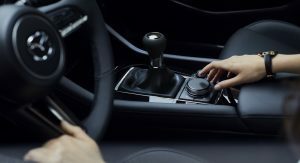 Among the other changes are an improved telescopic steering wheel that now features an additional 10 mm (0.4 inches) of movement. The center armrest has also been lengthened, while the cup holders have now been relocated in front of the shifter. On the dynamics front, the Mazda3 will be offered with an improved i-Activ all-wheel drive system which works in conjunction with the company’s new G-Vectoring Control Plus system that recently debuted on the 2019 CX-5. 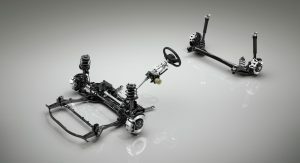 The car also adopts a new suspension which uses MacPherson struts in the front and a newly developed torsion beam setup in the rear. Moving onto safety, the Mazda3 offers an assortment of driver assistance systems such as Front Cross Traffic Alert which uses side radars to detect approaching vehicles at blind intersections. 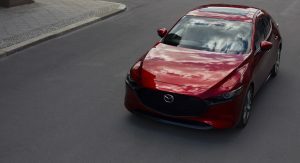 The car can also be outfitted with a Cruising & Traffic Support system which can automatically accelerate, brake and steer the car during traffic jams. Last but not least, engineers developed a new Driver Monitoring system which uses an infrared camera to monitor the driver and determine if they’re drowsy or distracted. If the system determines the driver has become “dangerous,” it will sound an audible alert. Yeah, you can see it in the last pics. 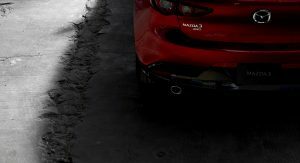 Fiesta ST uses torsion beam! Fiesta is a Mazda 2 comperitor. Esentially you use torsion beam to get a degree of rear wheel independance whilst saving money. agh that is really disappointing! 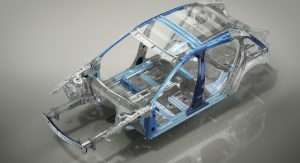 New Ford Focus also does away with the multilink for a Torsion Beam. Supposedly has improved the ride and NVH. HUGE step backwards IMO. LOVE the multi-link in my Elantra Sport, and would not have it any other way. One of the main reasons I bought the car. 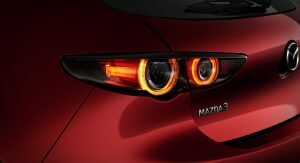 By what I’ve read about the new 3, Mazda invested heavily in bushings to compensate the lack of sophistication. By looking at the torsion beam axle profile, what caught my attention is that there are C-shaped members on the outer parts, but the transverse element is very straight instead of some grade of omega shaping like what I’ve seen in some modern torsion beams. 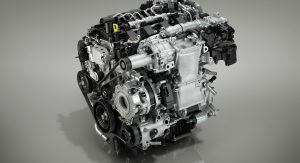 There isn’t also a Watt’s linkage like the one seen in Opel Astra and Chevrolet Cruze. 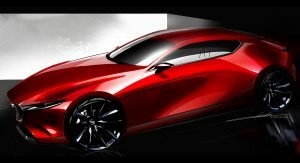 To be seen how effective is Mazda approach on this apparent regression. Picture 59 seems to show AWD. I am sure Japan would get it, but since it is coming to LA, I wonder if the Mazda USA will offer it too? Pic 6 says AWD on trunk. Picture 6 definitely has an “AWD” badge on the rear. 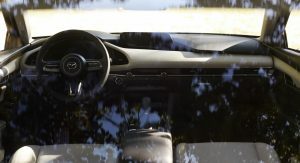 And later I spotted an manual shifter… thank you, Mazda! 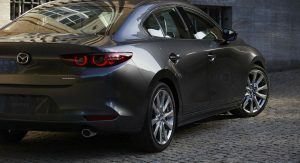 The front seems straight from the Atenza/Mazda6. I like the current gen 3 in sedan and 5 door, but the C pillar on this just looks weird. It’s way too thick and ruins the entire look of the vehicle. Honestly, it makes me think AMC Pacer! The blind spots are going to be humongous on this thing. 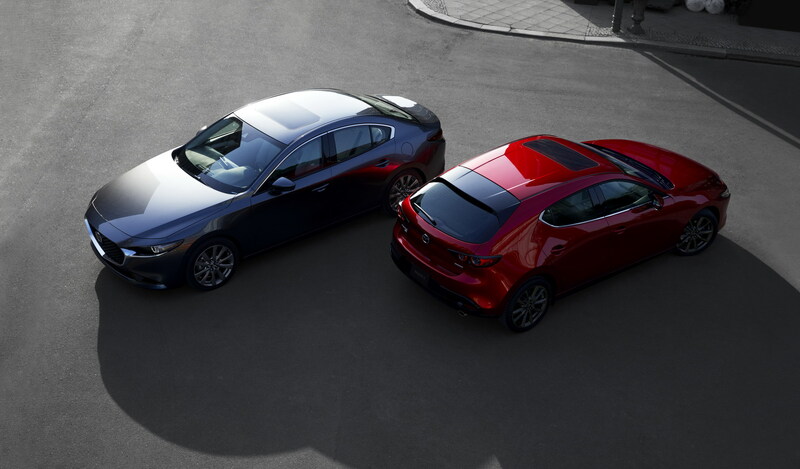 Both the sedan – and especially the hatchback – look weird. 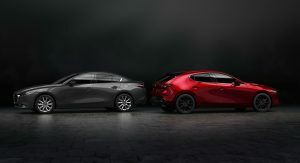 I hope they look better in person; for now, I agree; the current model – especially the hatch – looks better. It looks like a Kiwi bird. Huge rumpus and skinny beak. 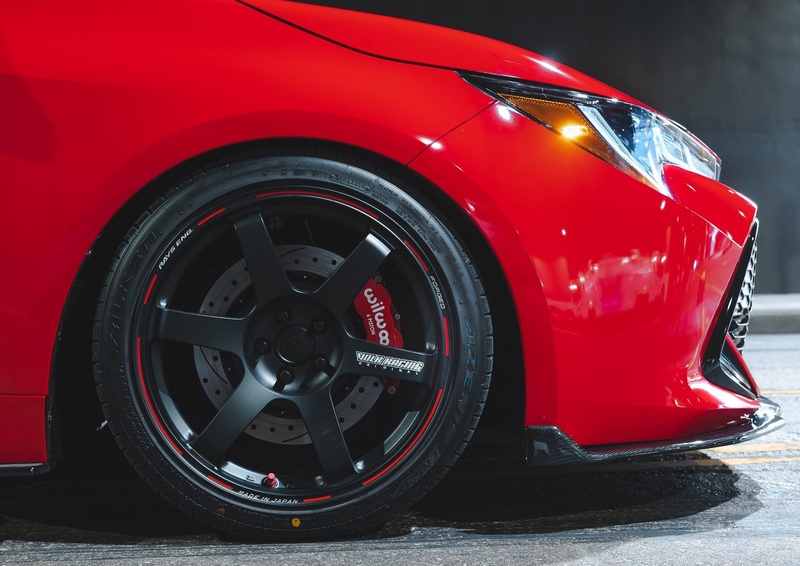 I generally don’t like black rims and these black rims are doing this car no favors but this is a good looking car. 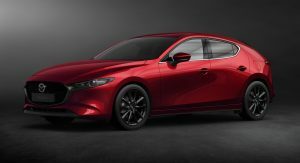 Hopefully the NVH levels are right and may Mazda sell everyone they can make. 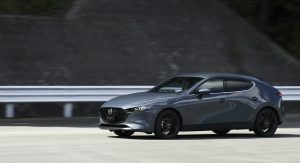 Kudos Mazda Kudos. i do admit, it looks very handsome and rather upscale for it’s class. FCOL, Enough with the silly black wheel craze. 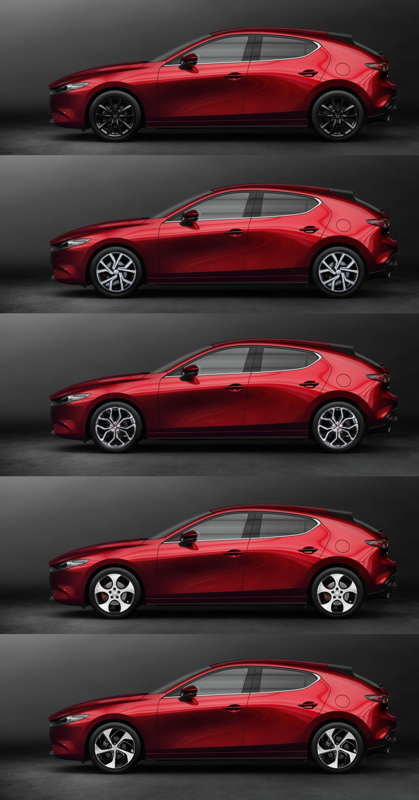 Otherwise great job Mazda. 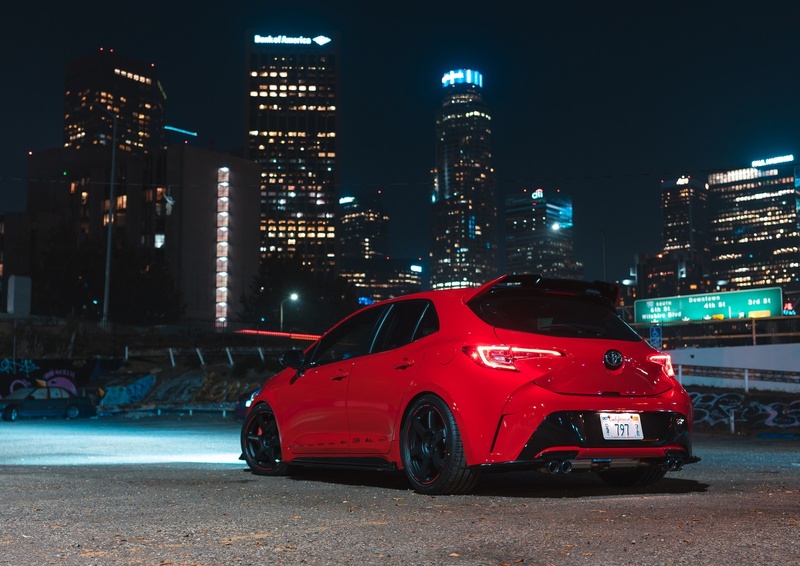 Do a MS3 version of the sedan too. 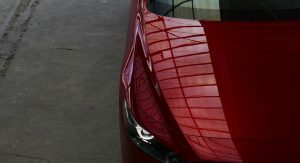 I just noticed that the sedan and hatchback have unique front fenders and doors as well. 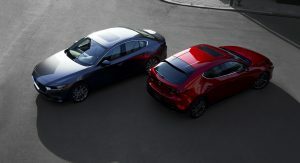 It may even be that the two do not share any exterior body panels. 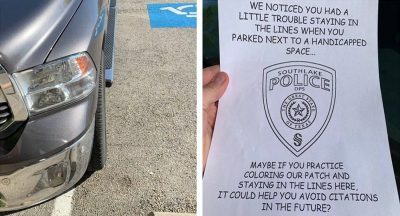 That C-Pillar is an absolute unit. In awe at the size of this lad. Looks great in front, stylish and all that but seems to me they totally ran out of ideas or energy with the rear. And visibility is going to be a total disaster. I’m sure the car will come with all kinds of proximity sensors. The nose does not match the rear in the side view. Looks like a cut-and-shut. Two different cars welded together. 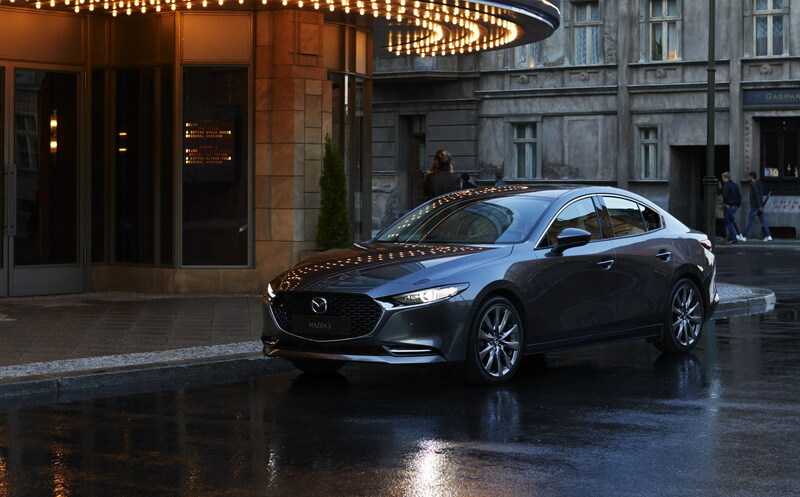 If the grill gets any large on Mazdas, it will take over the car. Yeah, I agree. As mentioned in my other comment. 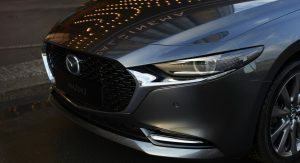 Like a bubble with Mazda6 front. It’s weird. Torsion beam rear suspension…. nice! Even the all-new Corolla is more dynamic. Seeing this, it makes me wonder: are Subaru actually leading the game (while pretending to be on the bottom)? Great concepts and sketches that translate to having a nice design every 20-years or so, and in the meantime, they just keep making it uglier and quirkier. Hatch model has too much metal and not enough glass. I hope it has a good reversing camera. Over the shoulder visibility must be close to non-existent. While the bodysides are beautiful the front ends are rather tame and unfortunately the rear end of the hatchback has been very poorly done. It almost has shades of AMC pacer. Nowhere near as nice as the last 2 generations. Front isolated are ok except the shark nose but the side profile is hideous! Looks a bit fat in the back. It’s like it does look nice, but big and fat. 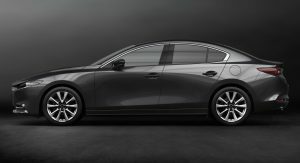 Previous generations looket a bit more sporty, this is like a bubble on wheels withh Mazda6 front. And that chrome strip on the hatchback around the bottom of side windows seems a bit out pf place. A bit like they added chrome for sake of adding chrome and it oesnt connect all that well, I think it should have continued all around the windows or just remaon black. Anyways, it looks nice but I personally expected something a bit more “wow”. 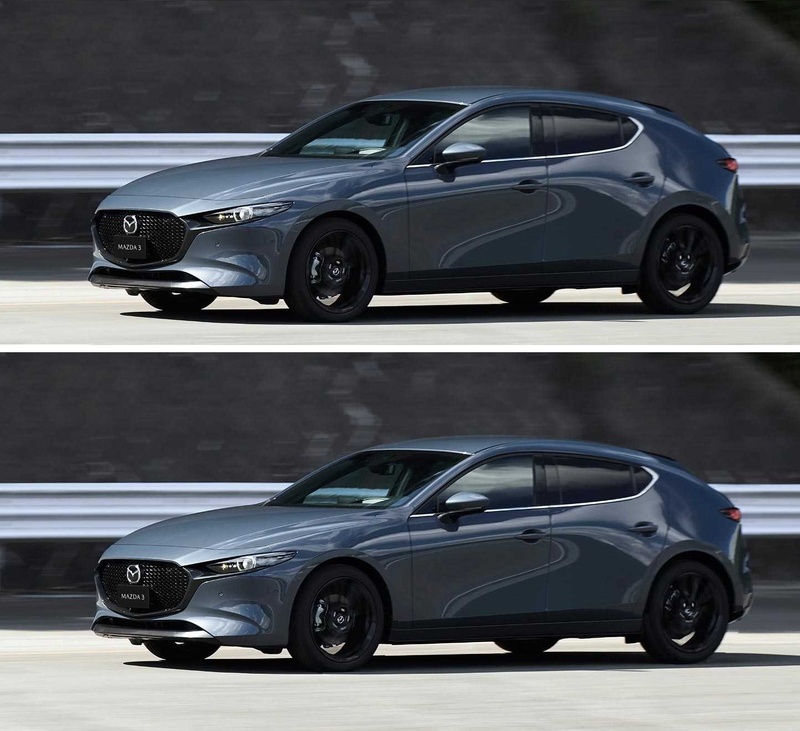 Reminds me a bit of older Seat models, like Leon. It’s a nice Mazda. Nice car. Nothing that revolutionary. Oh and the side windows seem a bit too small in general. Poor kids in the back. I really love the level of detail Mazda has actually put into the design of this vehicle. The low-res pics make these things hard to see, but I person these detail will certainly pop out. 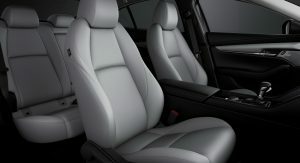 The interior with the real leathers looks as nice as anything (respectively) from BMW. 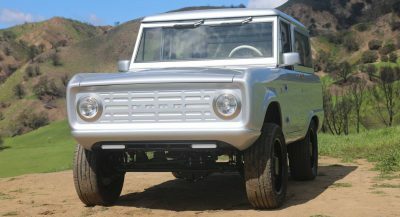 The Metal (tube-like) headlights are something I also really like. It’s in the details. 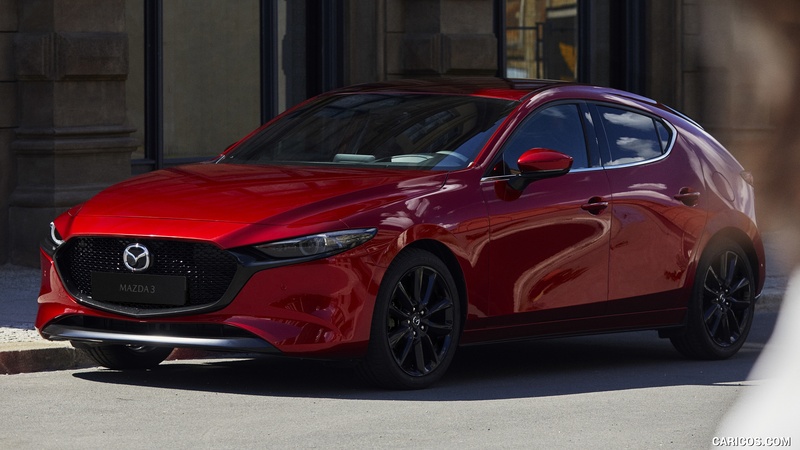 I really appreciate that Mazda is really paying attention to the details in their move to take their brand more up-market. The sedan version looks booooring. Also the rear windows in the hatchback are way too small, I bet it’s going to feel claustrophobic inside. 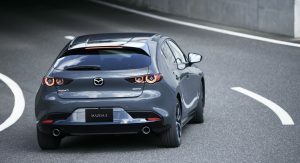 I’m absolutely in love with that hatchback… there’s something so retro about that bodystyle, especially the c-pillar. Gorgeous! Which is a good thing, unless off-course one likes to blend in with the crowd. They are raising the glasshouse so much that handles look awkwardly low… pic 14, rear door on the sedan. Just off. 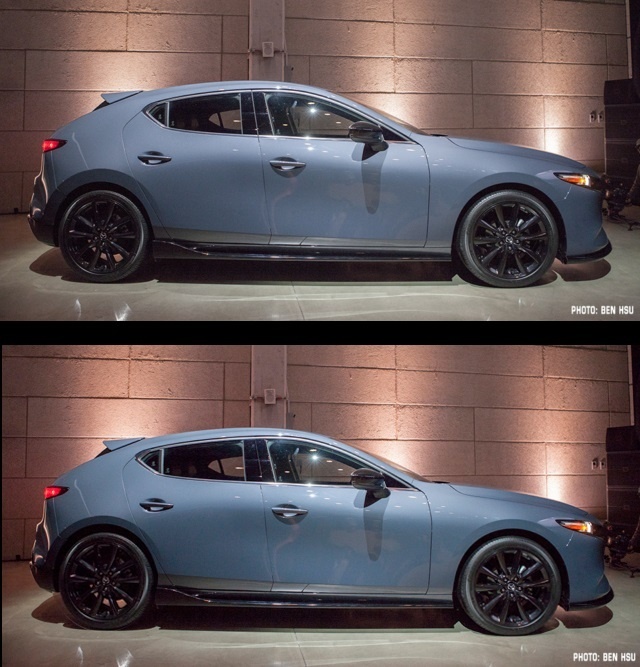 The contouring on the sedan as well as the bulbous C pillar on the hatch are also a bit off to me. I use to be a Mazda 3 hatchback owner but ever since they dropped the rear quarter window I’ve disliked the design and this one is not any better. From certain angles it looks like an egg on wheels. Bwahahahaha! Those red LED’s underneith… D’OH! I actually also prefer the Corolla but not this Tart’s Handbag Edition. 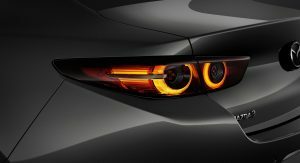 I love Mazda and looking forward to the new engine technology but on looks Toyota nailed it with the Corolla. 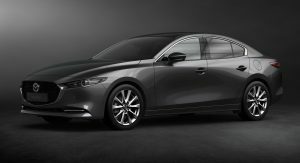 The first name that popped into my head when I saw photos of the Mazda3 hatchback was ‘Italdesign’. Do you remember them? And I’m not entirely sure that’s a compliment. I like the sedan better even though it’s not nearly as daring. There’s a bit of that too – on the rear side view of the hatchbatch. The sedan is much better but still very bad front overhang and sharknose. I now the sharknose is mandatory for the pedestrian safety but still try to do it nicer! I’m not sure that is going on with the c-pillar on the hatch, but I don’t like it too much. 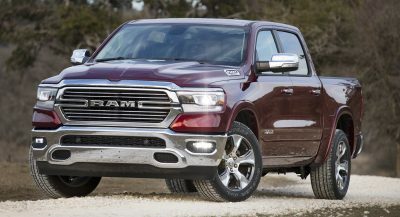 ENGINES ASIDE, this thing is a fugly step backward. Hatch is ATROCIOUS and both look like they’re riding an eighth of an inch above the pavement. I don’t even care for the dash. 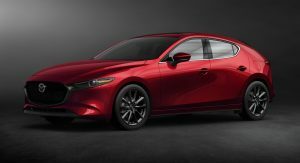 Mazda, UH-OH, you’re losing it! There is something very ’70’s Lancia’ about the back c-pillar…. Thank You for getting rid of that silly ‘smile’ grill Mazda! The 2000’s Mazdas looked like something from the movie ‘Cars’. For the first time I prefer the sedan version of a car instead of the hatchback. That c-pillar is so thick, it looks like a Lancia Delta. I love the sedan, it looks a lot better than it’s competition, Mazda is still killing it in the design department. 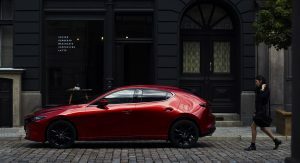 The saloon is very handsome but I’m loving the hatch. Continues its predecessor’s mantle as best-looking car in its class imo. Wow…. Both of them are beautiful. So beautiful that they can wear Alfa-Romeo badge (this is not an insult, it’s a compliment for Mazda’s design excellence). 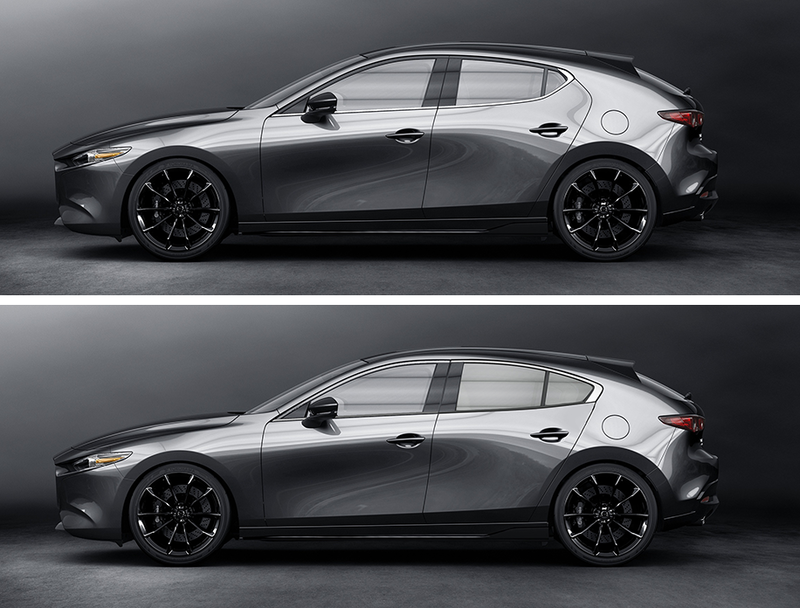 Anyway, with or without luxury badge, these Mazda 3s are already the head turner. I wish Lexus could learn from Mazda about how to make beautiful and outstanding car without overly going crazy like modern Lexus (except for the gorgeous LC & LFA). I would like to see these cars in other colors as well. 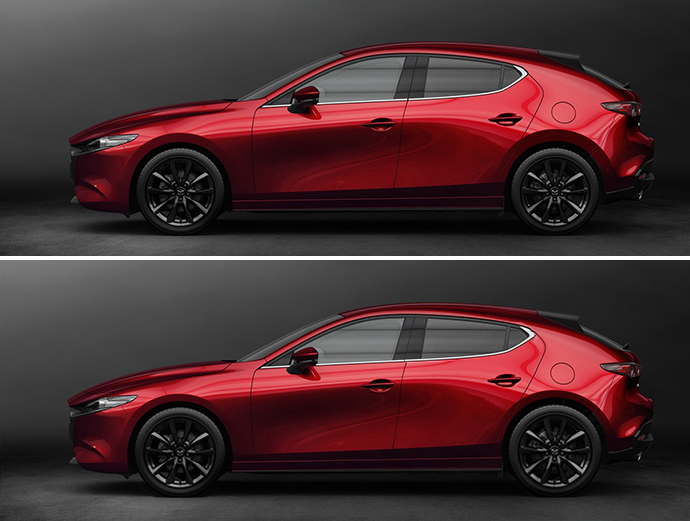 Soul red and gun metal grey definitely suit them very well, but using these colors again and again in every picture of late Mazda vehicle is getting boring. I imagine they would be equally stunning in BMW Alpina Blue, BMW Alpina green (especially the sedan, I don’t see it’d be good for the hatchback), Dark Brown metallic, Austin yellow, Ferrari rosso corsa, Eggplant dark violet, and of course, the always beautiful black. I really can’t wait to see it in metal. 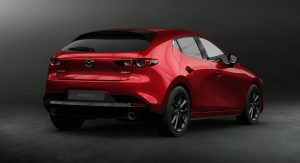 Love that Mazda has stayed true to the concept but for some reason I find the production version underwhelming. I suspect blind-spots and rear visibility could be an issue but I wouldn’t know any better, I live with an FX50 which is no prize in that department. 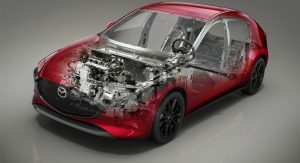 More impressive is the company’s commitment to R&D despite being small, the development of the Skyactiv-X petrol engine gives me hope that one day we will see an RX-8 with an improved rotary. They look like suppositories on wheels. They’re bloated with a face that looks like a Morphine addicts’. 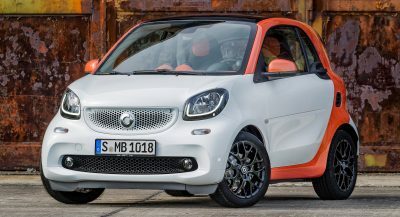 When will they get real men to design cars instead of Beta-males or women? I hope the hatch will come with the bright trim instead of just the blacked out grill and window surrounds. Plus I prefer the sedan’s tail lights. 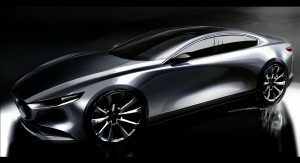 That said I love that Mazda is pushing the design forward. I think I’ll love the C-pillar in person. The lack of a hard fender crease masks the dynamism of the rear in photos but may look more muscular in the flesh. Two steps backwards. Torsion rear beam suspension? 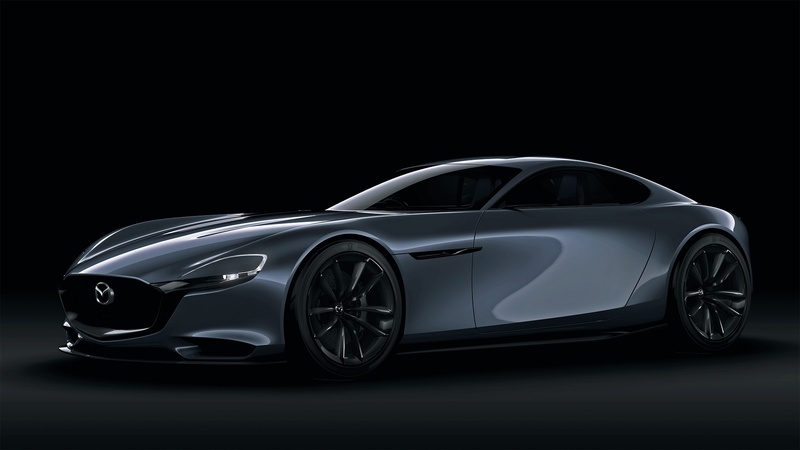 Lmao…I see where Mazda has cut cost. 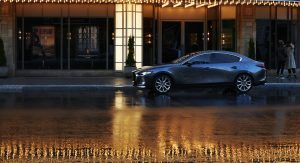 The sedan looks like a smaller, refined style of the Mazda 6 —which is fine, but evolutionary. 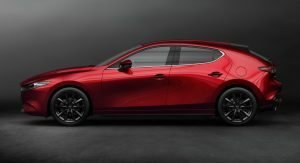 The hatch looks like one of those awkward Datsuns from the 1980’s — ridiculously thick rear fender, impractical visibility due to too-wide C-pillar. 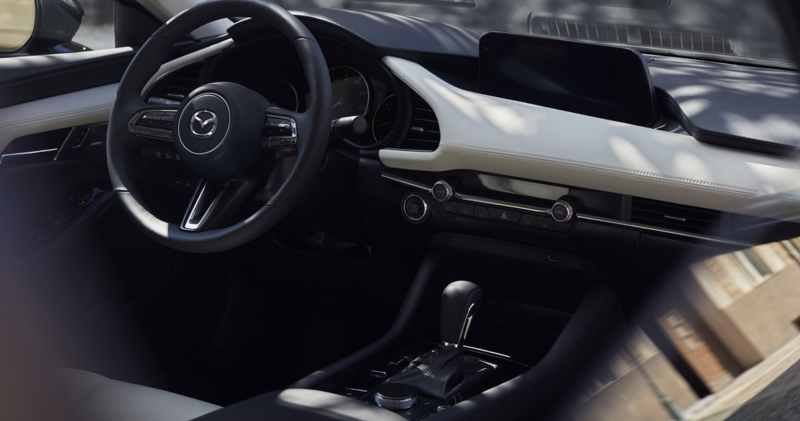 Oh, and I’d be remiss if I didn’t mention that i was not overly impressed with an additional 0.4″ of travel on the telescoping steering wheel — like THAT is what everyone was clamoring for. The five door looks amazing, like some sort of swamp creature, very cool. Damn, a cheapo torsion beam! 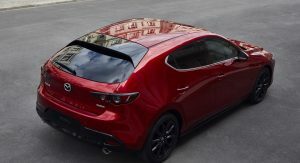 At least it doesn’t look like everything else out there..
Don’t care for the rounded “hump” on the hatch, but it’s still a better design than the sedan. The best execution (design-wise) is at the interior (lovely dash). It will take a trained eye to spot the differences! I like the sedan much better than I like the hatch. 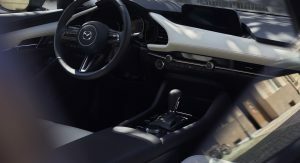 The interior pretty much blows every other compact right out of the water and the added AWD?!?!? Yes!!! Okay to look at it. Not so good looking out of it. Large blind spots in rear quarters. I see the hatchback as being b*utt-ugly. Just look at the rear quarter… awful. 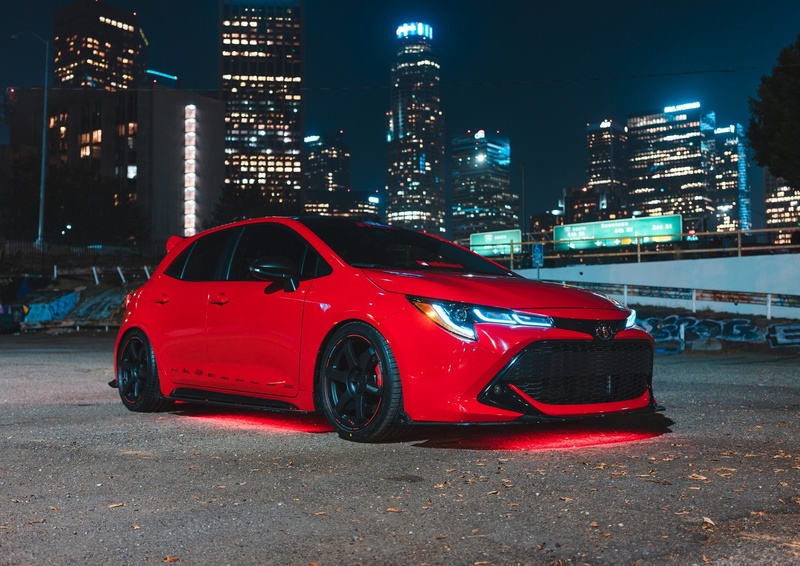 Just buy from another brand, you don’t have to wish for a properly-looking car, that’s done is done and they have to live with it for a few good years, there are plenty of alternatives on the market. I like that some segments of this design are a viewed as discordant ITs better than being invisible plus its not an ugly design with additional unsightly design elements – its beautiful design with flattened rear profile .